Illinois short term disability laws govern the benefits available to state residents who become ill or injured and are unable to work. Benefits include private insurance coverage and certain benefits available through governmental agencies. 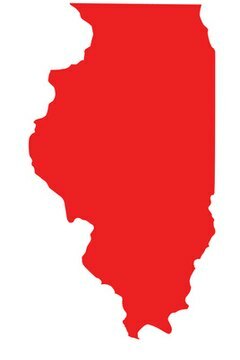 Illinois does not maintain a state sponsored short term disability program for residents. Eligibility for disability benefits are based on medical evidence that the disability is expected to last for at least 12 months. Illinois laws provide for two types of short term disability insurance. Employers provide group short term disability to cover employees facing a short term disability. There are also individual short term disability policies, typically purchased by the self-employed or business owners, to provide benefits in the event of a short term disability. As with any type of insurance, qualification for these types of programs will depend on the terms of the insurance contract. If your employer's disability insurance is too limiting for you, you may consider purchasing a personal policy. Illinois workers compensation coverage provides short term disability benefits to workers, but only in the event of a work-related injury or illness. Workers' comp in Illinois is no-fault insurance. If you have a dispute with your employer regarding a workers' comp claim, you can file for arbitration with the Illinois Workers' Compensation Commission, which will act as an arbitrator in your case. While the vast majority of cases are settled, they can go all the way to the Illinois Supreme Court, if necessary. Broemmel, Mike. "Illiniois Short Term Disability Laws." , https://legalbeagle.com/6127002-illiniois-short-term-disability-laws.html. 30 March 2017.